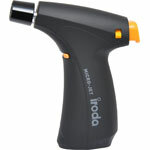 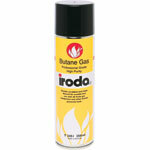 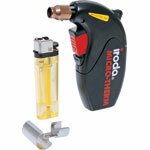 Altronics is delighted to stock the Iroda range of quality gas products.Iroda products offer: - Totally wireless operation - No need to run extension leads to your work area - High quality construction - Easy to light, one-click piezo ignition (where applicable) - High reliability and long life tips - A great portable soldering solution for just about anywhere! 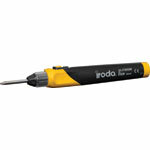 This soldering iron allows for cordless soldering without the use of butane. 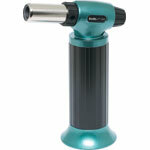 It features a rechargeable lithium battery. 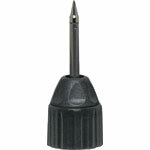 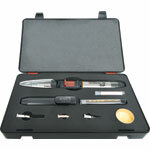 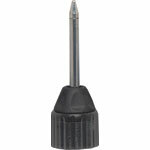 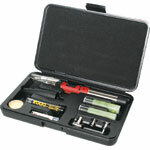 With this kit you have the flexibility of three tips to different soldering needs.